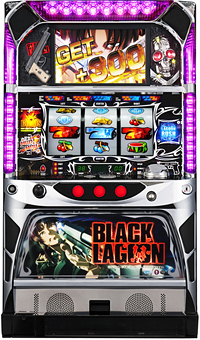 Today we will introduce a Pachislot machine based on the popular anime “Black Lagoon”! The company that produced the anime, Mad House, also worked on this title so it has an overwhelming number of scenes. The machine itself is designed to bring you the tension and grit that you can only get from Black Lagoon! During the “bullet battle” that the heroine and protagonist Revy fights with strong enemies, Roberta and Ginji will make an appearance! You’ll be holding on so hard that your hands will start sweating!